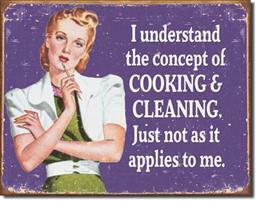 I UNDERSTAND THE CONCEPT OF COOKING & CLEANING. JUST NOT AS IT APPLIES TO ME. TIN SIGN.